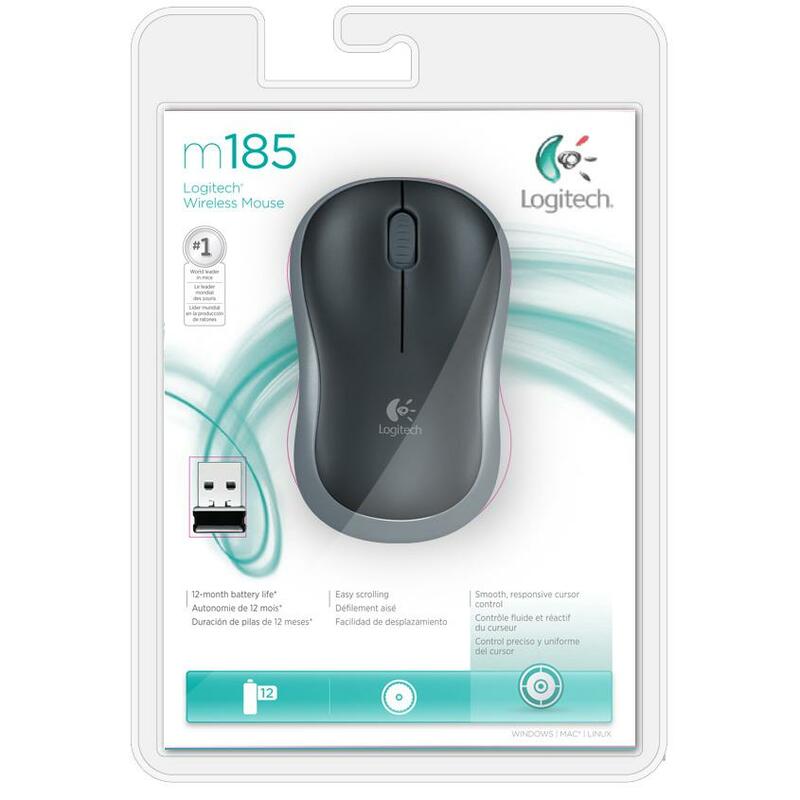 The Logitech Wireless Mouse M185 has a comfortable, contoured design which feels good in your hand, and works wirelessly using a tiny USB nano receiver which you plug into your laptop. 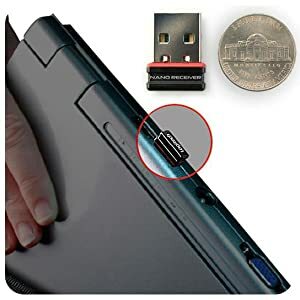 The receiver is so small you’ll forget about it, and you can leave it plugged into your laptop to use your mouse immediately each time. The Advanced 2.4 GHz wireless connectivity gives the reliability of a cord with wireless freedom. 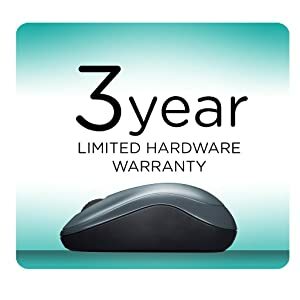 The battery life of the mouse can last up to a whole year, so battery changes will be a rare thing. 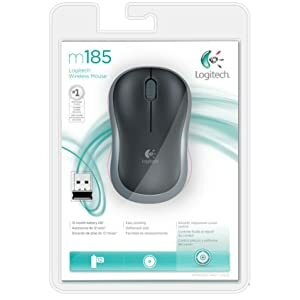 A simple, reliable mouse with plug-and-play wireless. You get the reliability of a cord with wireless convenience and freedom—fast data transmission and virtually no delays or dropouts. 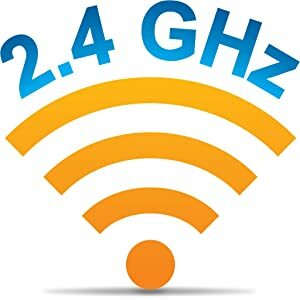 Works with Windows, Mac, Chrome OS or Linux-based computers. So small and unobtrusive, you can plug it into a USB port and forget about it. No more worries about lost receivers. 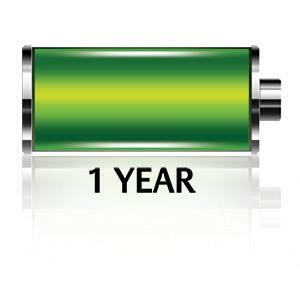 1-year battery life*. The On/Off switch and smart sleep mode help conserve power. 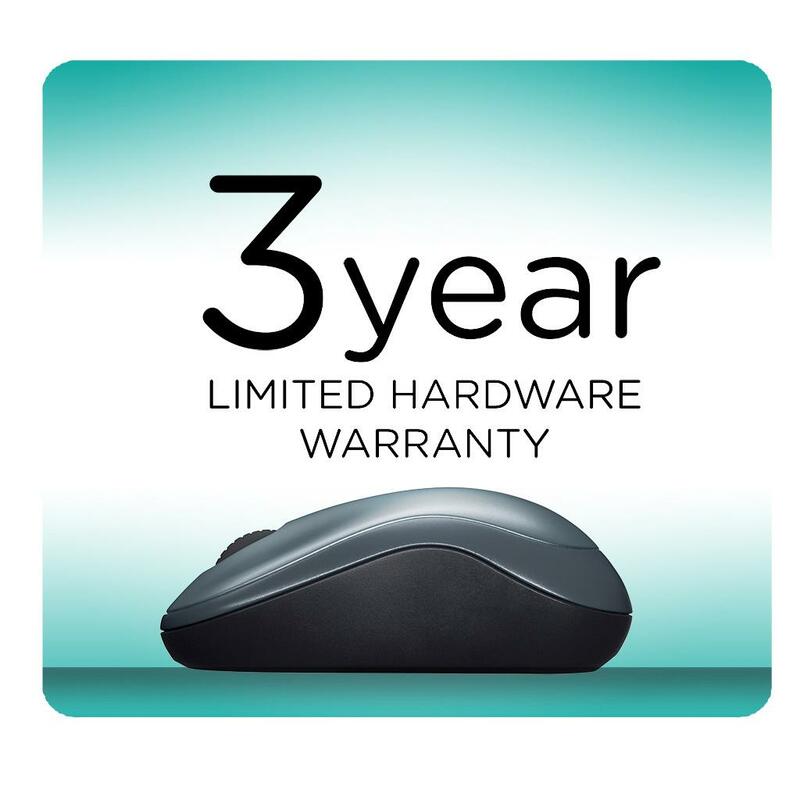 You’ll enjoy the high quality and reliability Logitech is known for — plus a 3-year limited hardware warranty. 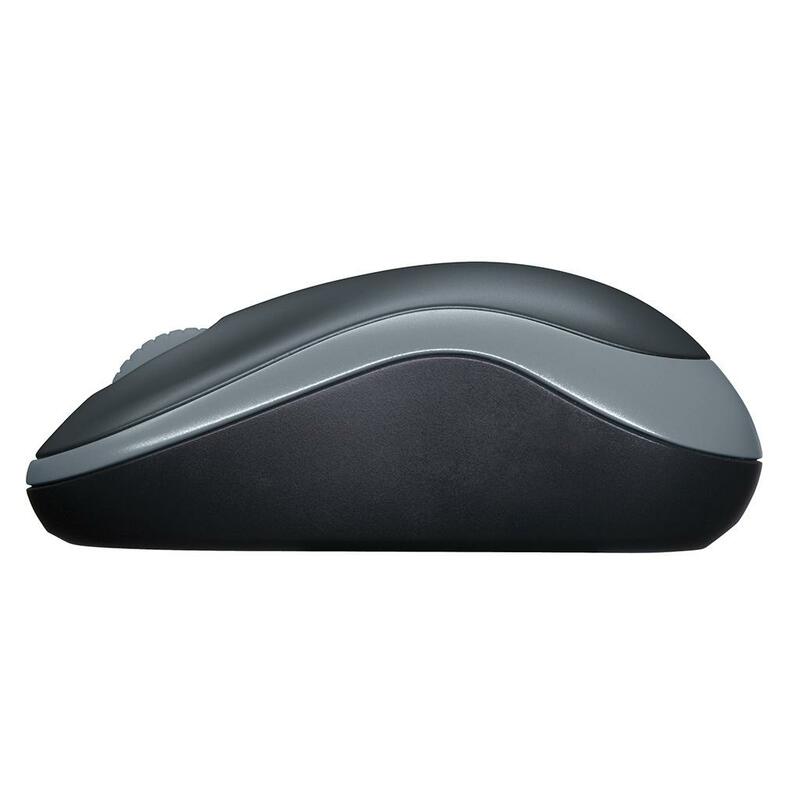 Move up from your tricky touchpad to the comfy shape of this contoured mouse.